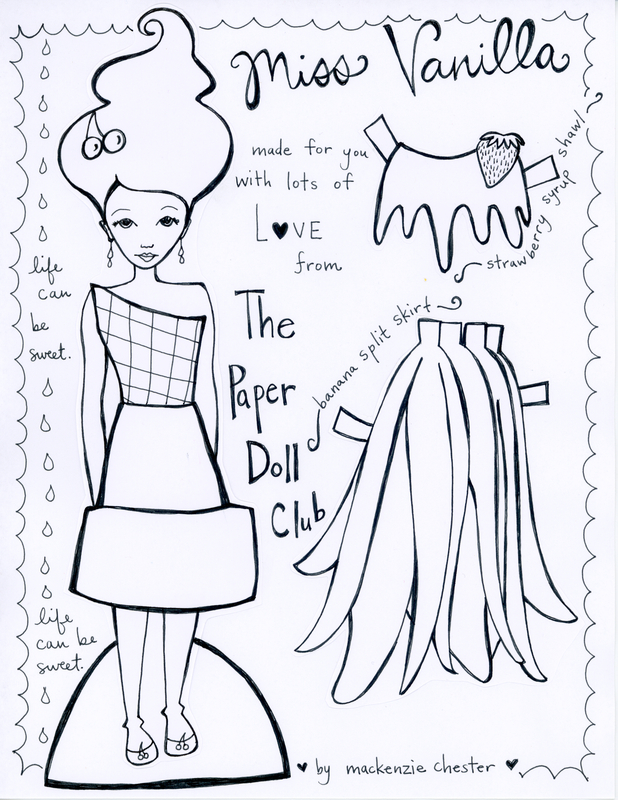 Happy Monday from The Paper Doll Club! Today we have some sweet paper dolls for you. Miss Vanilla has ice cream for hair and a combination sugar cone/plain cone dress. If she gets cold, you can put on her strawberry syrup shawl, and if she’d like to go out for some fun, put on her banana split dress. I think she would be lots of friends with Sweet Miss Meringue, Ms. Cinnamon, and Queen Cupcake, do you? 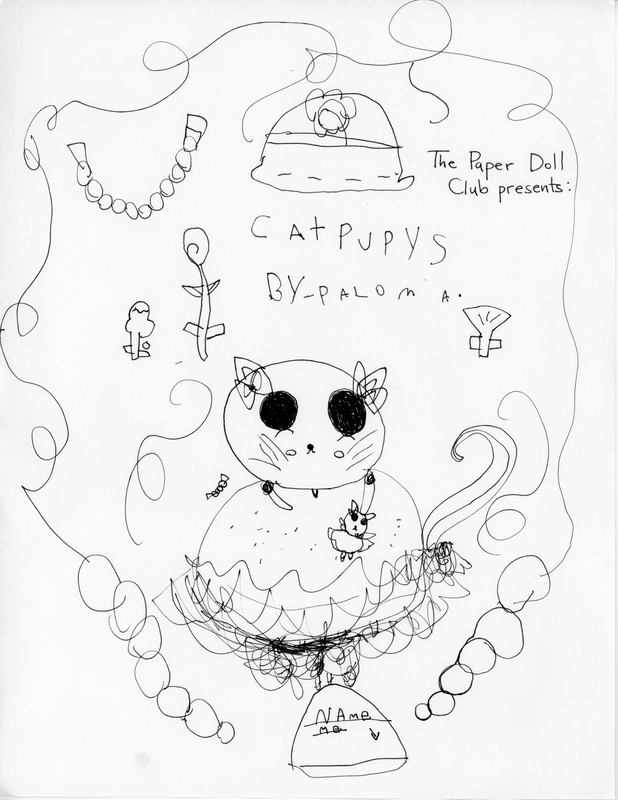 Paloma made a cute little kitty. I still don’t understand exactly why she calls these little creatures she makes Catpuppies… But I think it’s really fun. She draws them every now and then, wearing different outfits, with slightly different ears, etc. But they are always cute and sweet. You can cut out and attach a necklace and bracelet for the doll, as well as some beautiful flowers. 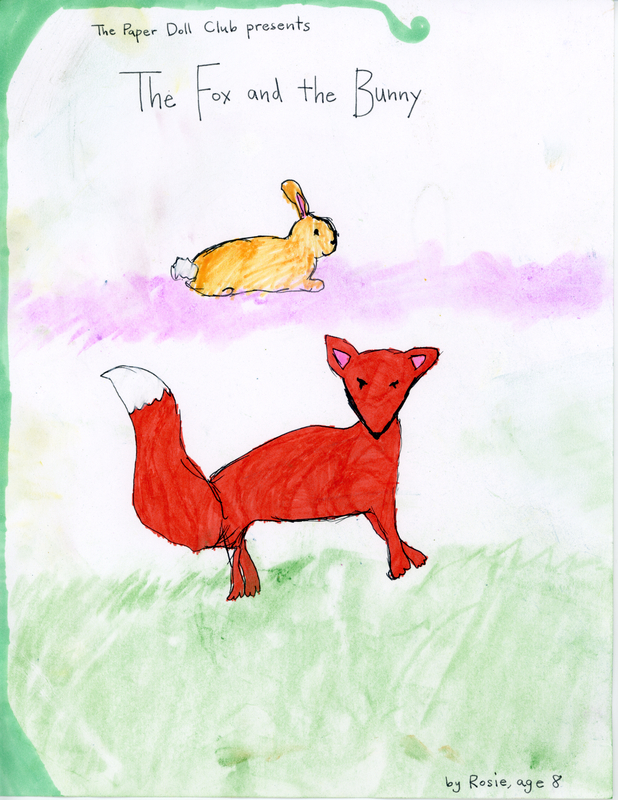 Rosie made a beautiful fox and bunny. Cut them out and see if you can make up a story with them. Maybe you could write your own fable. 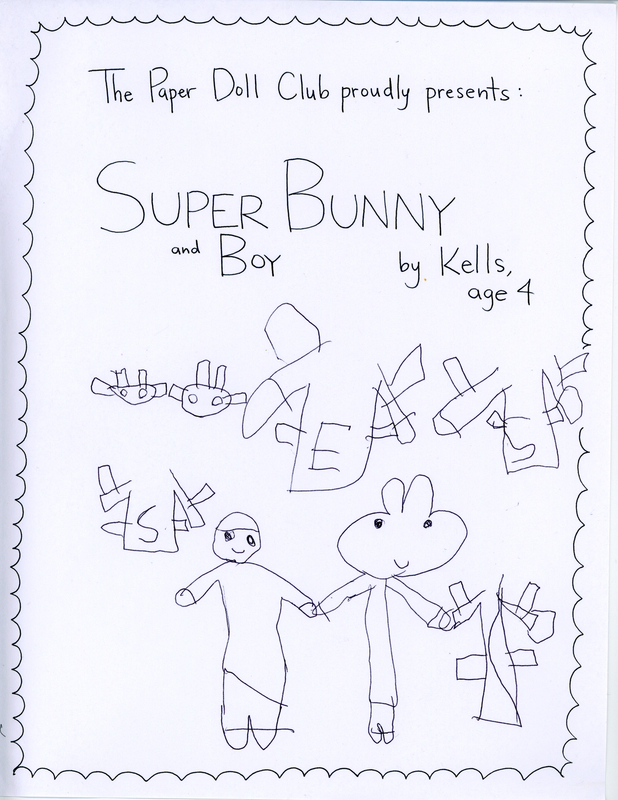 Kells has a very detailed drawing of Super Bunny, which I am pretty sure was inspired by last week’s Super Bunny Boy. I especially love the masks, which can be cut out and stuck on their faces. I wish I had thought of that for Super Bunny Boy. Maybe you could make your own mask for him! Thanks for visiting The Paper Doll Club. We hope you enjoy coloring, cutting, and playing with these. It is fun to draw, and it is fun to share our drawings with you!